Technology enthusiasts have always been lured by this eternal question: which is the best OS? You’ll find multiple articles dumped on the internet where writers have already declared the winner and losers. In my opinion, this question itself is regressive as technology is all about introduction, evolution, and decline. Operating systems as we know them have been around us in many forms starting from PCs to wearables. Mobile OS saw the light of development in the 90s and by the next decade, it evolved into something more powerful and better. From being clumsy and rigid it turned into something more useful and this change took a considerable amount of time. As with everything, technology itself matures and evolves. While the formative years witnessed the rise and popularity of Symbian and Blackberry OS, the current scenario strongly indicates that now this popularity has shifted towards iOS and Android. Both of them were unveiled in 2007. While Android laid the foundation of Open Handset Alliance – a consortium of hardware, software, and telecommunication companies devoted to advancing open standards for mobile devices, Apple’s iOS has always powered their devices such as the iPod Touch (September 2007) and the iPad (January 2010). As of now, Apple’s App Store contains more than 2.2 million iOS applications, 725,000 of which are native for iPads and they have collectively been downloaded more than 130 billion times. At the core of every technology lies simplicity which comes after constant advancements and progress. This entire mobile ecosystem which is making our lives easy has received support from multiple channel partners which were non-existent before. Strong mobile developer ecosystem has generated billions in revenue for parent companies like Google and Apple. According to IDC, Android dominated the smartphone market with a share of 86.8% while iOS saw its market share for 2016Q3 grow by 12.7% QoQ with 45.5 million shipments. The iPhone 6S followed by its newest model, the iPhone 7 were the best-selling models this quarter. The iPhone SE and 7 Plus along with its older models accounted for 53.1% of the total Apple shipments this quarter. Modern day smartphones have enabled people to not only talk but also to pay, play and work on them and this interaction is happening on both the platforms – iOS and Android. I believe that technology is not always about numbers/winners/losers but is more about the hold it has on the masses. So this idea of OS wars must die. 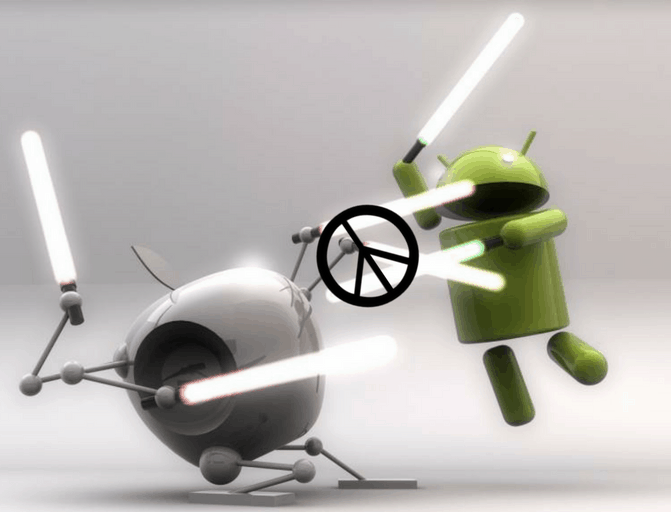 iOS and Android are not at war and we have witnessed cross-platform support between Apple and Google many times. Google has made apps for iOS while iOS has returned the favor by bringing services like the Apple Music on Google Play. Mobile operating systems have come a long way, from EPOC which later transformed into Symbian, the smartphones of the world currently are under the lordship of Android and iOS. Smartphones have graduated from being brick-sized to super thin and they are packed with far better specs which get better year after year. 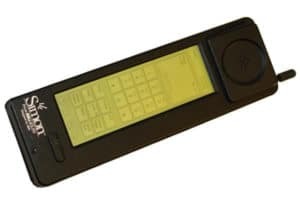 Remember IBM Simon? Does that ring a bell? It was the first ever mobile phone to feature apps, using a stylus and touch screen – allowing users to sketch a drawing, update their calendar, write notes, and send and receive faxes. However, with a hefty price tag of $899, half a kilo weight, and with a battery life of only an hour, it was an impractical device. As far as smartphones are concerned we have come a long way since then. The only burning question of our time is security. Android commands the overall market percentage but in terms of security, it’s not secure like iOS or Blackberry operating system. People are very mobile now and they are consuming content on smartphones so security should be the prime concern. Also, near-stock Android or stock Android experience should be the preferred mode of OS distribution. The problem with running any smartphone on old OS is a serious security concern for manufacturers and developers. We have seen what happens with bloatware and how it is a bigger headache on Android phones. Not only is it harder to remove (every time you do a factory reset it will come back), but it is an added burden on data usage, battery life, and data privacy. During his opening remarks for Apple’s Q4, 2016 report, CEO Tim Cook identified Android switchers as a source of growth for the iPhone business. And one that’s continuing to grow. “As you know, iPhone customers are the most satisfied and loyal customers in the world, and fiscal 2016 saw more customers switch from Android to iPhone than ever before. This is due to the superior customer experience we deliver with our products, and it’s something no other company can match,” he said. Because Apple controls both the hardware and software experiences on the iPhone, software updates are a huge draw for iOS and the iPhone. There are people who state this as the main reason for leaving Android behind. When Apple launched its first iPhone it marked an end for overcomplicated smartphones like Symbian phones and BlackBerry handsets. Post iPhone the entire industry shifted its focus toward a much more intuitive user experience. Apple set the gold standard for the entire smartphone industry which is still copied globally. The other point we tend to ignore is that as a brand Apple is more powerful than Google. Google entered the smartphone industry with Nexus devices and now Google branded Pixel phones but they don’t have the same following and respect which iPhone commands. In just two decades, smartphones have transformed the way we work, live and play. However, they will need to keep evolving if they are to maintain their dominance over the next 20 years and powerful and flexible OS will be central to this dominance. In just two decades, smartphones have transformed the way we work, live and play. However, they will need to keep evolving if they are to maintain their dominance over the next 20 years and powerful/flexible OS will play a central role to ensure this. Not at war? You buy either an iPhone or an Android phone. So for example son wanted a Pixel this Christmas to replace is iPhone 6+. So purchased a Pixel instead of the iPhone. We only have two viable mobile solutions left. Thanks Jane for your interest in the article. In this context, the market competition which is natural has been labeled as war. When Apple developed the Macintosh Microsoft was the most important software partner – despite the fact that Apple believed in closed systems and Microsoft was the driving force behind the IBM PC and the PC clones. Steve Jobs never believed in an open system but now partnership/platform sharing is common to survive in this highly competitive smartphone market. At the end, the consumers decide what they want based on their overall requirements.